Before Emily was born I was diagnosed with Antenatal depression. It effected my pregnancy a lot. Instead of becoming one of those mums who was excited to meet there baby, was out shopping at every chance they could. I became withdrawn, unhappy and really overwhelmed. There was this little person growing inside me, and it terrified me. I said some horrible things to my partner, how I didn't want the baby, I went on and on about how the baby would be better off without me. 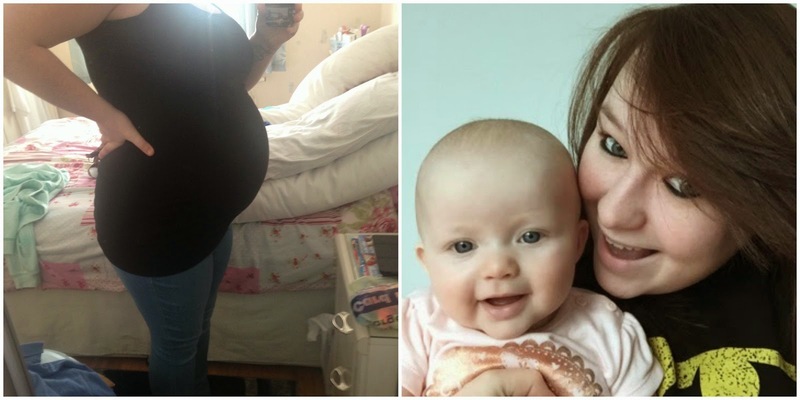 I was so scared that I would be a terrible mother, and that I wouldn't be able to cope. 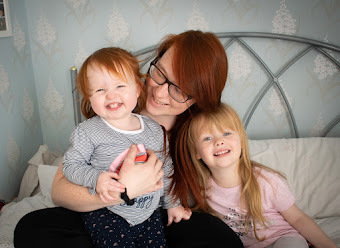 I must admit it was such a dark time for me, the problem with antenatal depression is that it's never really recognized by healthcare professionals, and I think that is mainly down to the fact most mums will not admit how they're feeling. Pregnancy has always been glamorized in my opinion, a time when you are glowing, and everything is so exciting. I was supposed to be getting ready for my new arrival, picking clothes, and decorating the nursery. However I just wasn't that person, I wasn't in a stable mind set to be excited about these things. I really tried to put on a smile, and act like I was excited. This made everything worse. I wanted a baby for so long, yet feeling this way hurt so much. Both me and Sam had a really tough time, we miscarried 3 times before finally being blessed with Emily. All those knock backs, and then when it did happen I didn't want it. That made me feel like such a horrible person. Sam was my rock through all of it, and although I said some horrible things, he made it ok. He understood when I didn't, and reassured me that just because I was feeling like I didn't want our baby, it was just because of all the stress, and depression. I felt this depression from the onset of my pregnancy, I hated pregnancy, and it makes me scared to do it all over again whenever that time may come. The one thing that scared me the most was the fact that it can in fact turn into post-natal depression. If it wasn't bad enough that I felt like this before my baby was born, I was constantly worrying about what I would feel like when my baby was here. I wanted to have a good relationship with my baby, which made me spiral more into my depression. 5 months on and I have a beautiful, healthy, happy baby girl. The downside is I in fact do have post natal depression. However it's nothing like I thought it would be, instead of feeling like I don't want my baby, or can't be around her. It's the complete opposite. I can't put her down. I don't want to be without her! She means everything to me, and while you may think this is a good thing, it has it's downsides. I don't have anytime to myself, I don't even trust leaving Emily with Sam. It's not because he isn't capable. He's a amazing daddy, It's just me. I'm scared of being apart from Emily, I'm scared that something may happen. I want to look after her, be there for her always. I feel like I'm slightly over compensating, but I'm aloud to right? All of those negative feelings led me to this point. I know that I will get there eventually, and that for me is progress because I have never felt like that before. As much as it may be a struggle, I can get there I know that now. I was inspired to write this post after reading back through all of my old journal posts. I was in a really dark place, and felt like I was still in that dark place, but reading back through them just made me realize how far I have actually come. There is a light at the end of the tunnel. It may be dim but I'm getting there. I am slowly improving.